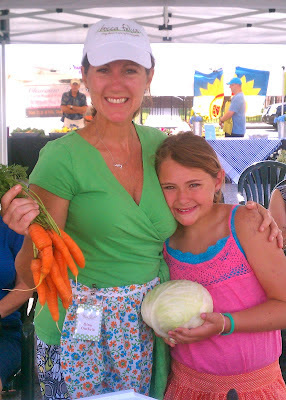 On Saturday, June 9th, Mia and I kicked off the summer season at the Mount Holly Farmers Market with a delicious cooking demonstration that included Beet & Carrot Salad, Asian Slaw with Apple Orchard Bratwurst, Chevre Log with Wildflower Honey, and a Grilled Lettuce & Swiss Chard Salad-- recipes are posted in the BF Recipe Box Tab! 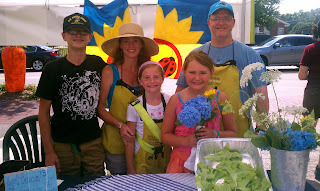 We have been welcomed with open arms by all the vendors in Mount Holly, and feel blessed to be their "Chef in Residence" this summer. We will return again on 6/23, and look forward to what wonderful produce the farmers will have for us to cook up then! 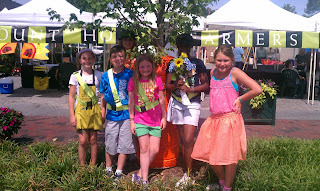 To learn more about the Mount Holly Farmers Market and its vendors, please visit their Facebook page. The local 5th grade Safety Patrols serve at the Mount Holly Farmers Market to assist vendors and customers with their produce. Our Special Event "The Perfect Picnic" taking place at the Guthrie Home on Saturday, June 16th has been postponed due to Father's Day weekend conflicts. We plan to reschedule this fabulous class during the Indian Summer....hope to see you then!